I live in Minnesota. Winter is a bit of a challenge here and at times I do wonder why I live here. We hit one of those crazy winter temperature last week. We hit -12 F air temperature. I didn't leave the house and when I went to work, I didn't care how ridiculous I looked with my super Lands End "commuter" coat and my -24F Cougar boots! There is nothing better than soup to take that chill out of your bone (and skin and.... ) I made a curry soup. We also do not have much choices in vegetable this time of the year. All our produce are shipped in from something, some tender vegetable just didn't make it quite well in this kind of weather. They look a little sad. Cauliflower just seems to shine sitting by all their other vegetable mates. 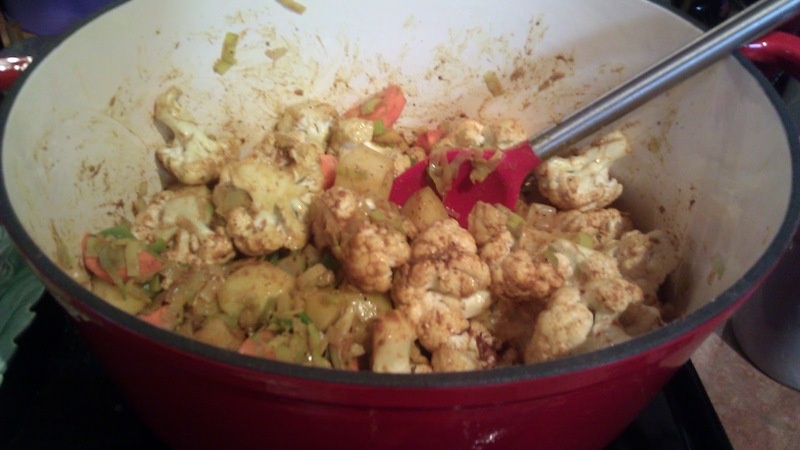 Here is a basically a cauliflower and root vegetable with some curry helps on these cold cold day. 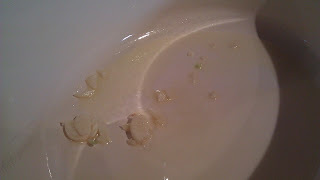 3-4 cloves of garlic, cleaned and smashed. Keffer leave, (also called curry leaves), sliced into very fine strips for garnish. 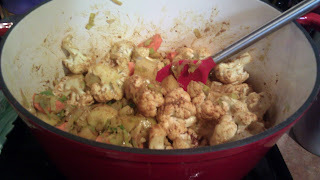 Heat olive oil of ghee in a large pot or Dutch oven over med high heat. Once the oil is hot, add garlic and saute for a min. 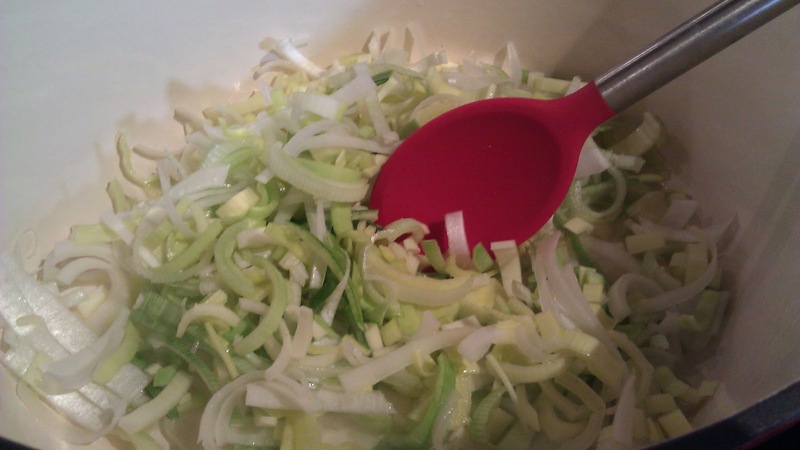 Add Leek and onion, saute till the vegetable is softened and lightly caramelized. Bring to a full boil. 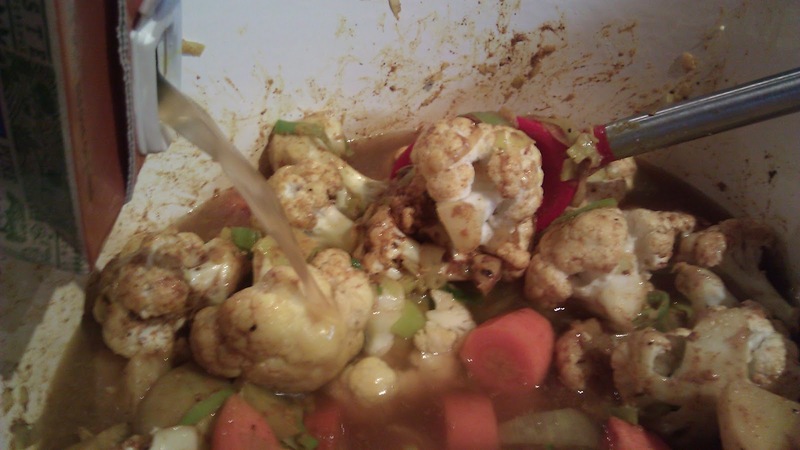 Low heat to simmer and let it cook till the vegetable are tender, about 30-45 mins. 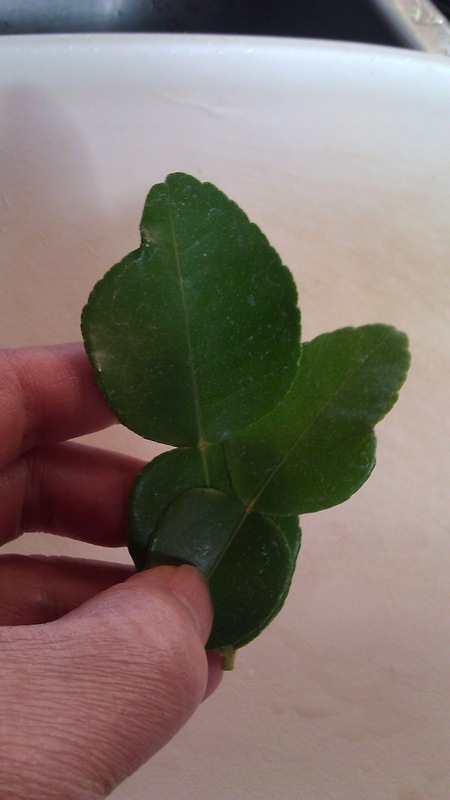 Ladle the soup into a bowl, garnish with a few sprig of Keffer lime leave if desired. Love the spice box. I have an antique one from India, but I like the "modern" stainless steel version. If you have Cost Plus World Market, they are the cheapest. 82 degrees difference between where we are!! We are looking for to the heatwave of +22 this week! Woohoo, break out the shorts! Wow! looks so delicious. Cauliflower is available in our area specially in winter season. 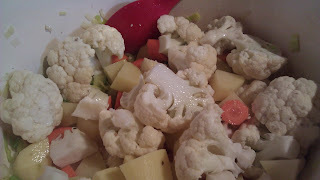 I would like to learn more recipes on different uses of cauliflower such as cauliflower soup, cauliflower steaks,vegetable curry with cauliflower, roasted & cheese cauliflower. Would you please provide the above recipes gradually in this blog. 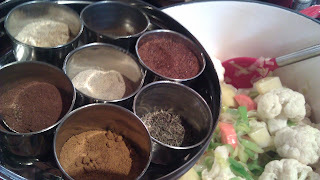 I will post in a few more recipe in the coming weeks. I am in touch with those green and purple cauliflower. SImply roasting or salad would be so great! How about some Colcannon for St Patrick day?